ENTERPRISE — Ferrell Phelps doesn’t mind being called an “old timer;” in fact, that’s literally what he is, he admits with a laugh. 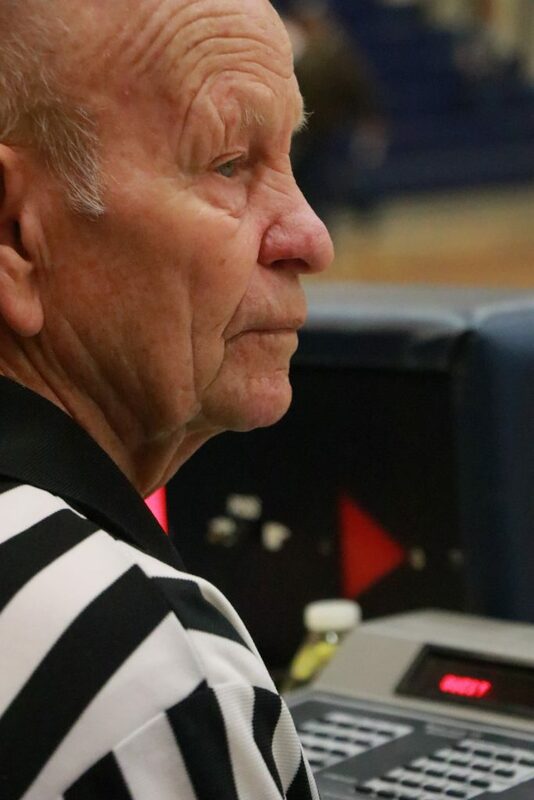 He hasn’t always been old, but for the past six decades, Phelps has been a fixture on the sidelines, running the clock and scoreboard at Enterprise High School home basketball games. Since he started working as the timekeeper for the Wolves boys basketball team in 1958, the now 85-year-old Phelps has hardly ever missed a home ball game. 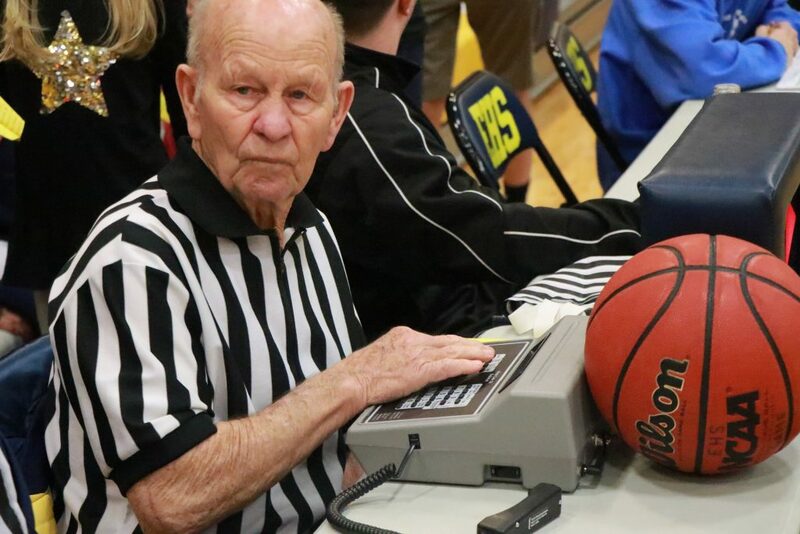 “I’ve missed three and a half games in 60 years,” he said, referring specifically to boys basketball varsity games. When asked about those games he missed, Phelps said all but one of them involved his 44-year career as a railroad worker. Phelps said his only other missed game was a during a Saturday night church conference meeting where he had been asked to speak. 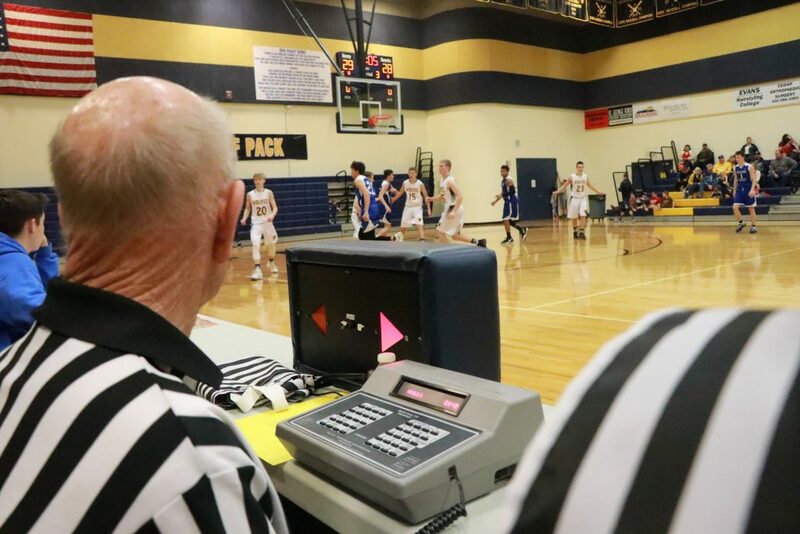 Other than those few exceptions, plus a one-year period when he served a church mission, Phelps hasn’t missed a Wolves home game in 60 years, and he has rarely missed a contest in any of the other sports where he operates the clock, namely girls basketball, volleyball and football. Phelps has long since lost track of how many games he’s worked. “It’s probably in the thousands. 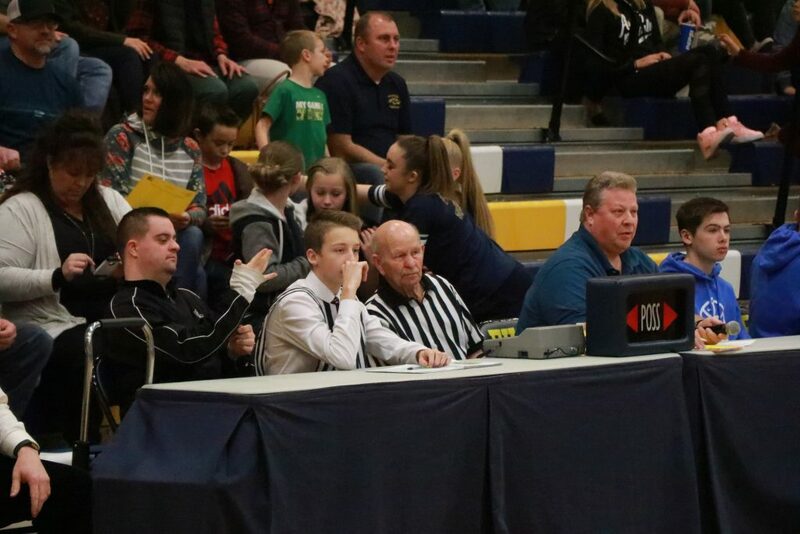 I’ve done the freshman, JV and varsity games, all three for the girls and the boys, for years and years and years,” he said. Even more remarkably, Phelps hasn’t been paid a dime — it’s all been as a volunteer. “I’ve been pretty lucky,” he says of his longevity. He said he’s also grateful his wife Mona has been able to attend many of the games with him, as she was on Friday night, sitting directly across the court from where her husband was working at the scorer’s table. In between games, the couple sat together for a few minutes and chatted before Ferrell Phelps had to go back to his scoreboard duties. Ferrell and Mona Phelps have been married for 62 years. Their family includes five children, “about 24 grandkids and about 17 or 18 great-grandkids,” Ferrell Phelps said. St. George News was able to catch Phelps for about 15 minutes in between Enterprise’s junior varsity and varsity games Friday evening. 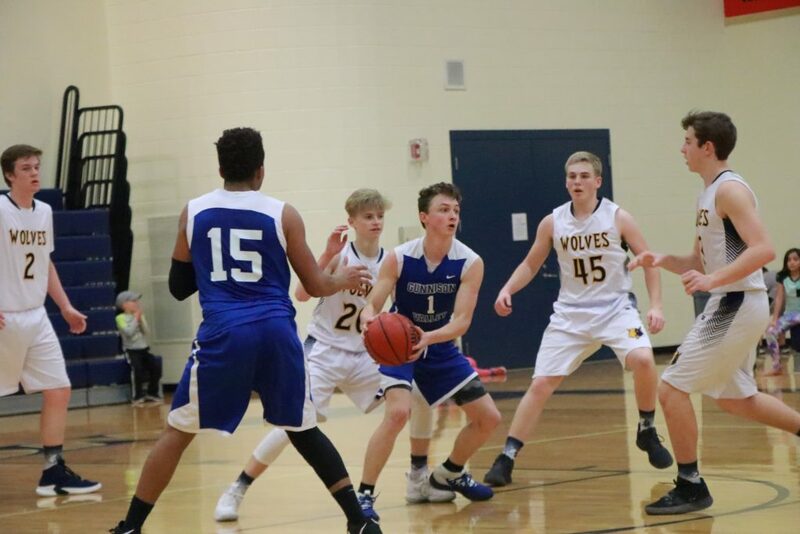 At the end of the JV game, the Wolves’ Adam Holt drained a 3-pointer with nine seconds left to put Enterprise ahead 49-48. That proved to be the game-winner, as the bank shot that Gunnison’s Harley Hill hit with two seconds left was waved off by referees due to a reaching foul that occurred before Hill took the shot. Enterprise had a foul to give, so Gunnison was awarded no free throws and had to inbound the ball again. Gunnison’s last-second desperation shot fell short, and the Wolves escaped with the win. 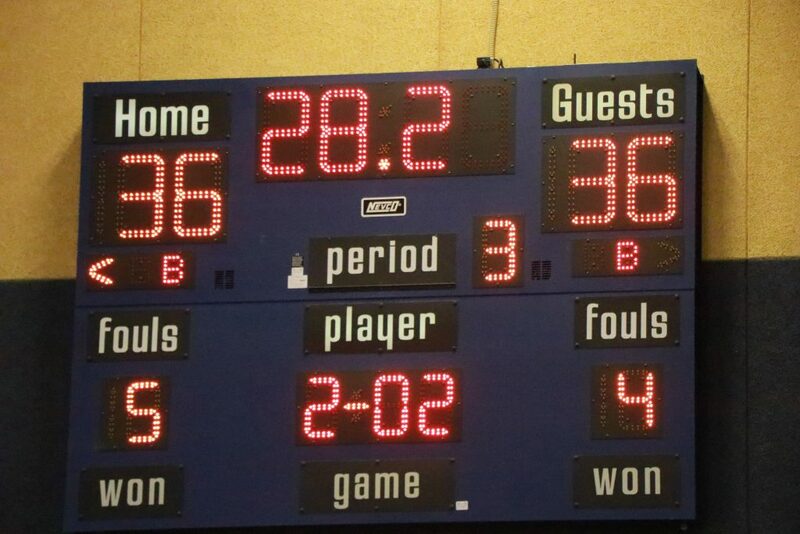 In the varsity game that followed, Enterprise also emerged victorious, defeating Gunnison 55-50. Senior guard Ryan Holt, Adam’s older brother, led all scorers with 20 points. During his interview with St. George News, Phelps mentioned the current Holt players’ dad Jared and their grandfather Robert, along with numerous other Holts, also all played for Enterprise back in the day. Phelps said he is actually now seeing players from the fourth generation, the great-grandchildren of players he’d watched play several decades ago. Phelps said he gets a kick out of people’s reactions when they come in to watch their grandchildren play and see him still sitting there at the table, as if he’d never left the spot. 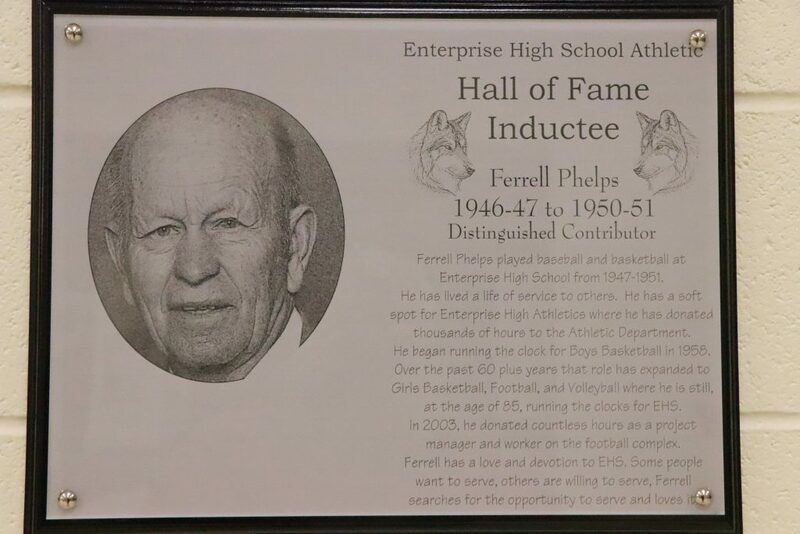 In recognition of his many years of service and support, Phelps was recently inducted into the Enterprise High School Athletic Hall of Fame. 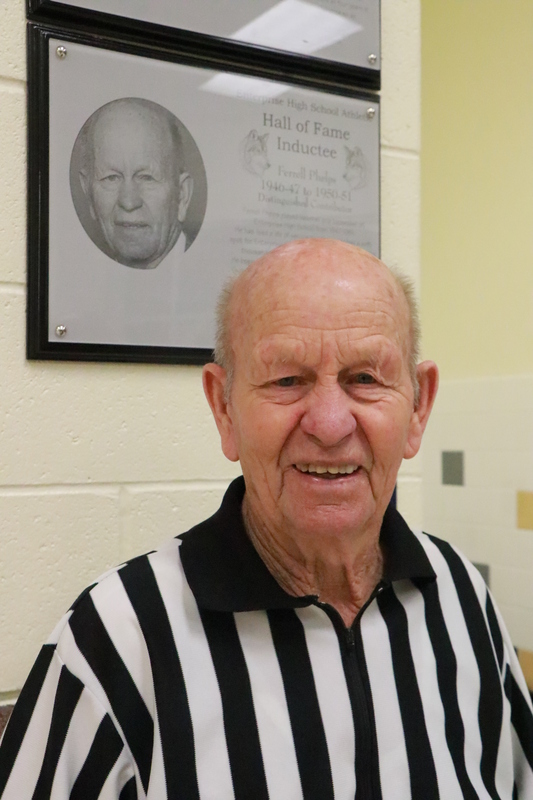 A special plaque with his photo and a description of his contributions to Enterprise High was installed last week on an inside wall near the front entrance to the gymnasium, joining those of 11 other Hall of Fame members previously honored. Phelps is a 1951 graduate of Enterprise High, where he played both baseball and basketball. Phelps, however, isn’t one to toot his own buzzer. He simply does what he has done for so many years, each and every game. 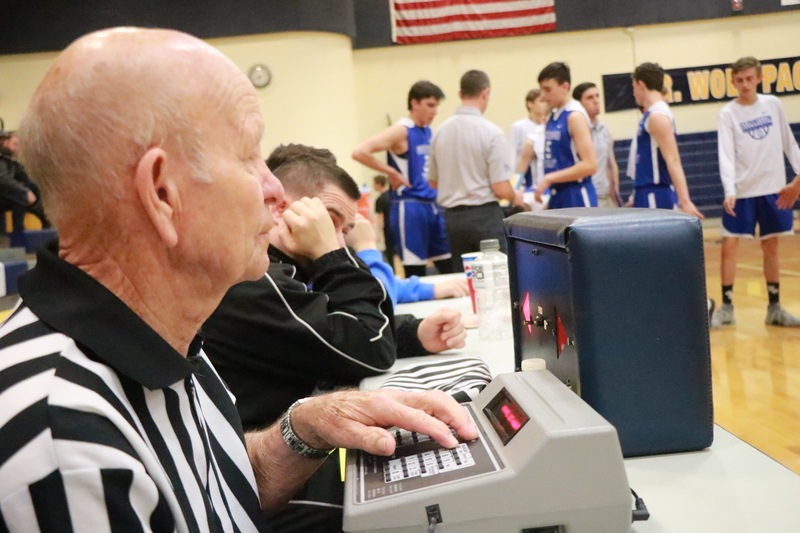 After taking his seat at the scorer’s table, he simply resets the clock to 8:00 and waits for the referee’s whistle to blow. The players line up in the center circle and prepare for the jump ball. 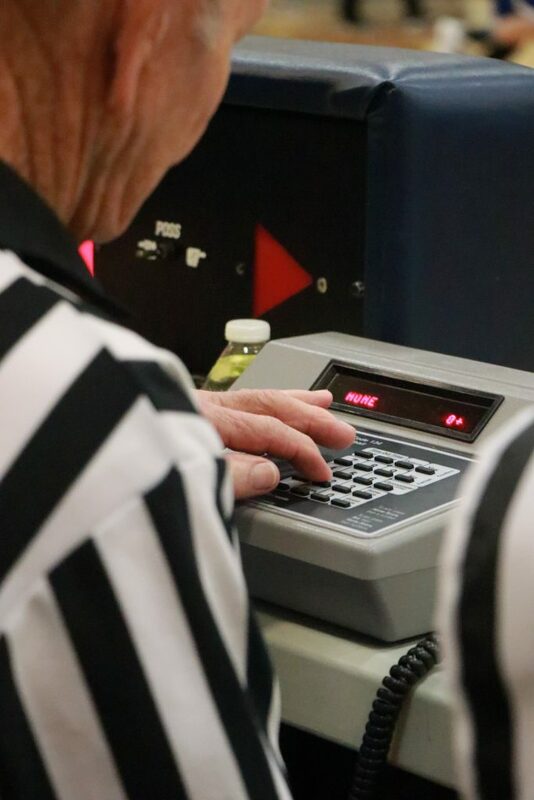 The referee tosses up the ball, the players jump for it, and as soon as a player touches it, Phelps pushes a button, and the clock starts ticking. 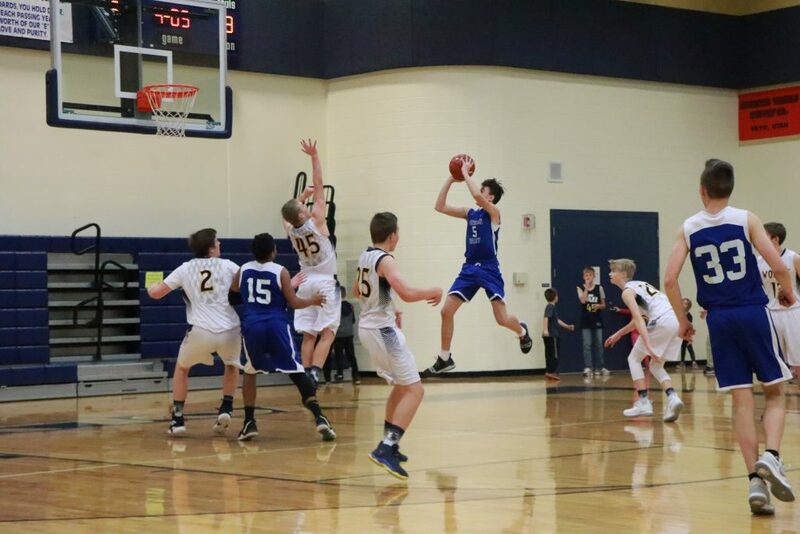 Throughout the game, he’ll stop and start the clock numerous times and record every point scored. He also keeps track of fouls, who committed them, time outs and the possession arrow, among other things. Just like clockwork, Phelps never seems to miss a beat. For now, the clock continues to run smoothly for Phelps, who has watched countless thousands of players over the years. He’s seen numerous thrillers won on last-second shots, along with plenty of heartbreaking losses, whether they be by a single point or a blowout. 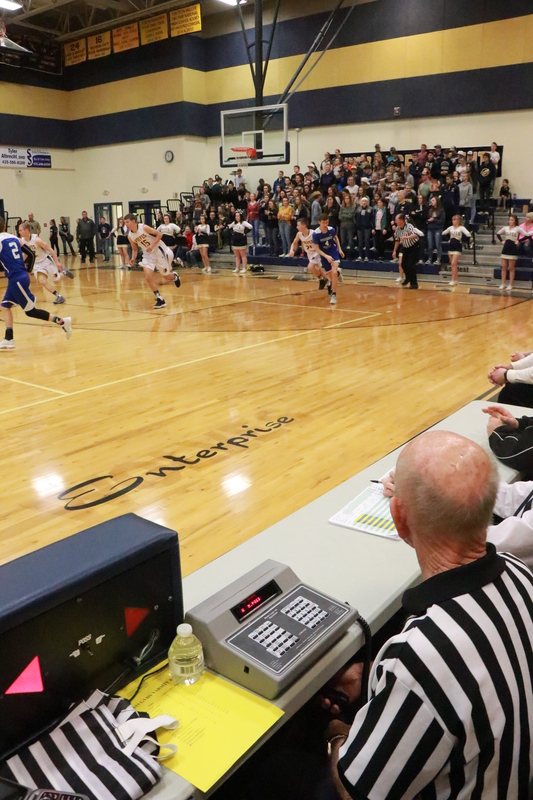 He’s watched more than a dozen Enterprise High teams win state championships, with each of the sports where he works the clock taking state at least once. But Phelps says in the big picture, wins and losses don’t matter all that much. He says his greatest enjoyment has come from watching the players themselves and the progress they make.